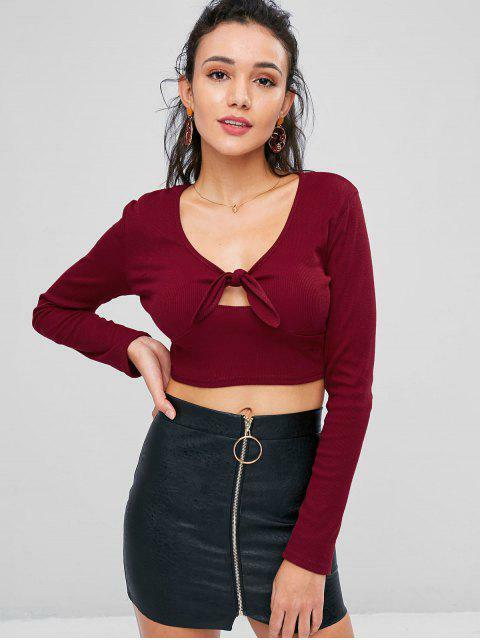 [40% OFF] 2019 Knotted Crop T-shirt In RED WINE | ZAFUL .. 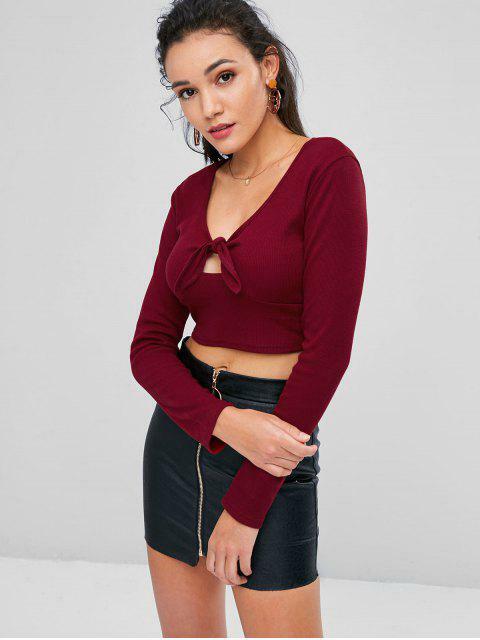 In a solid color hue, this casual long-sleeved tee with a v collarline features an alluring cropped length, modern ribbed detailing throughout, and a charming cutout which is created by a separate knotted belt, in a fitted shape. Pair it with your fave bottoms and heels for a glammed-up look.